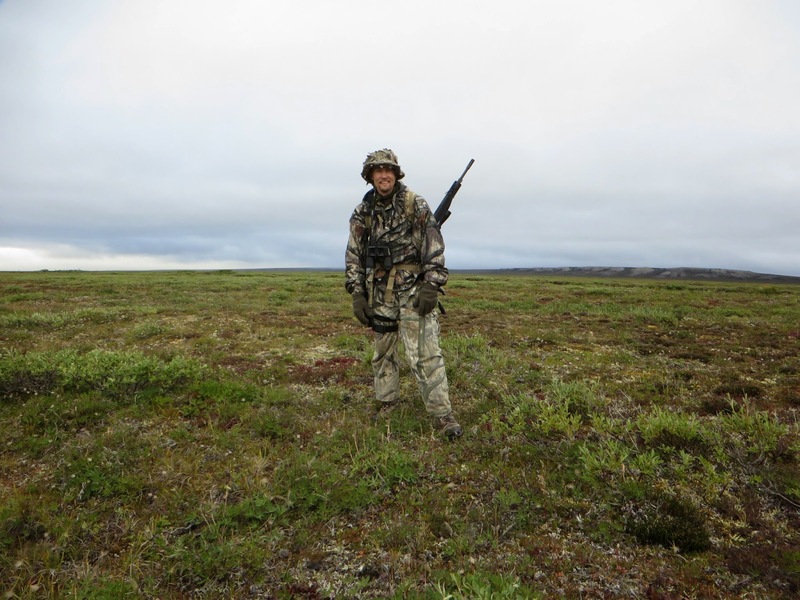 Out on the tundra on the last day of the hunt. The day had dawned on our final full hunting day in camp. I use the term "dawned" figuratively as opposed to literally, as the sun had never set. 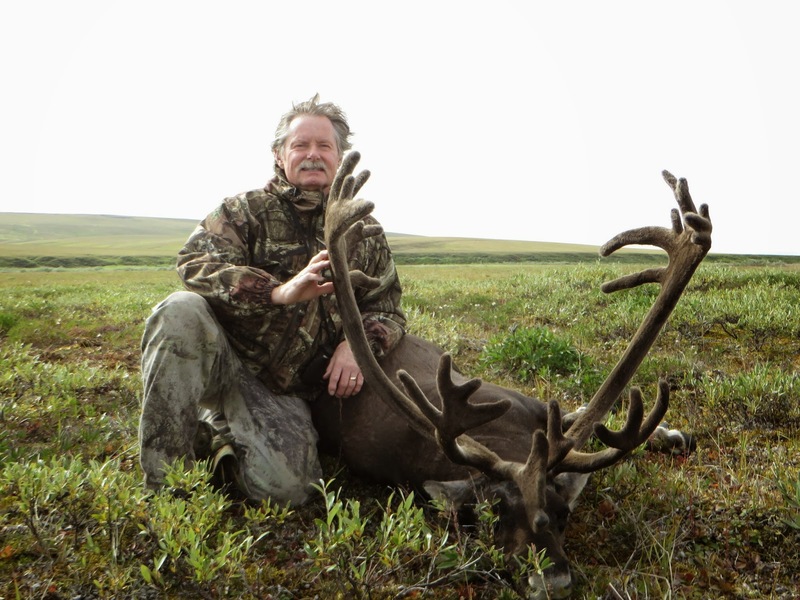 It was down to the wire on the two remaining caribou tags in our hunting group. One residing in my pocket, and the other was nested in my father's pack. The other permits were already attached to carcasses of other caribou hanging in the meat shed. These specific animals would have to be processed before the day's end. We discussed the work that lay before us and knew that if we were to fill the two remaining permits it would have to be in the morning as to allow enough time to butcher the animals before our ride back to Fairbanks landed on the runway the following afternoon. With this in mind we set off on the tundra shortly after breakfast in search of legal caribou. The destination was an area on the Kavik River where I had skulked around the previous day. Not only had I seen many caribou in this area, but the tundra had somehow managed to swallow up my binoculars. The added side mission to going to this area was to find my prized Pentax optics. Upon our arrival I somehow managed to locate the field glasses laying in a small crevice along the bank. Success was achieved on one goal, now it was just time to find some four-legged critters. The problem was there was not a single animal in sight. The caribou that had glided in small herds across the tundra the day before were now ghosts haunting some other habitat. Slightly dejected and nervous that $650 worth of tags might go home empty, we made the journey back to camp. Noon was the deadline to stop hunting and start the butchering process. Around 11:30 am one of the other hunters in camp called out that they spotted a group of bulls crossing the river nearly a mile from camp. A swift glance confirmed this and we quickly set off to set up an ambush as they came out of the river bottom. When the bulls crested the bank we were still further away than I would have liked, but in rifle range. It was now or never. My father laid down in the prone shooting position to my right and I threw the AR10 over my pack and sighted in on the caribou. We estimated the distance at nearly 400 yards. After some quick collaboration on who was going to shoot which bull we prepared to fire. Getting a clean shot on a caribou can be difficult. As the herd moves they are constantly mingling and passing each other. There is a real possibility a hunter can hit several animals with one bullet if not careful. When my chosen bull was finally free of the others, I settled into the rifle, released my breath and applied pressure to the trigger. The recoil surprised me and I could feel the bolt of the rifle eject the spent 308 cartridge, slide forward, skim another off the top of the magazine and then slam it home into the chamber, ready, if needed. I was surprised to find that it was going to be pressed into service as the bull was still standing. The roar of my father's 300 Weatherby caught my attention as he fired shortly after me, toppling the lead bull. He quickly informed me he felt the animals were further than 400. I adjusted the elevation and found the same bull still standing were he was. A second empty shell casing was ejected out of my rifle and found its partner laying somewhere in the trail through the tundra. There was an audible slap as the round took the bull in the back rib cage. My goal is always to make a clean, quick kill on any animal I hunt. I have remorse that this bull did not fall as fast as I would prefer. After I observed the bull lay down I crept up to him and ended the hunt as quickly as I could. He was a large, tough old bull, and I will honor his memory with every meal he provides. It was over. All the caribou tags were filled. Processing and packing for home was all there was left to do. I had a tinge of regret that I did not take one of my bulls with my bow. I had come to the tundra with high hopes of this achievement. While this dream was not to come true this trip, it is only put on hold until the next Alaskan adventure. That afternoon and evening saw five caribou processed into little white packages. It was a marathon of cutting and wrapping that didn't stop until nearly midnight. At the end all of us were worn out and ready for sleep. Our time at Kavik River Camp had come to an end. It was bittersweet as we said goodbye to Sue and boarded the bird to take us back to Fairbanks and civilization. I was dog tired after 7 days of crawling, walking, stalking, hauling, and processing animals on the tundra. I had not spoken to my girls for 8 days and longed to hear their voices and about their lives while I was away. My trepidations were on leaving such a ruggedly, beautiful, and wild place. Nearly every day I saw a wolf or their tracks. The bears were as massive as the tales, and while the mosquitoes were beyond description, I had learned to work through them. The Alaska tundra had spoken to my hunters' soul and like a siren, called to me to stay. I had seen the elephant. and it was as wonderful and exquisite as I had dreamed. Yet somehow I felt a pull from 4000 miles away. My Colorado Mountains were calling me. Speaking to me in tones of aspens, streams, snow covered rocky peaks, and large, dangerous feline tracks yet to be found that will one day lead me to my mountain lion. The racks of the Caribou we took during our trip. With Sue Aikens and Rob Apgood. 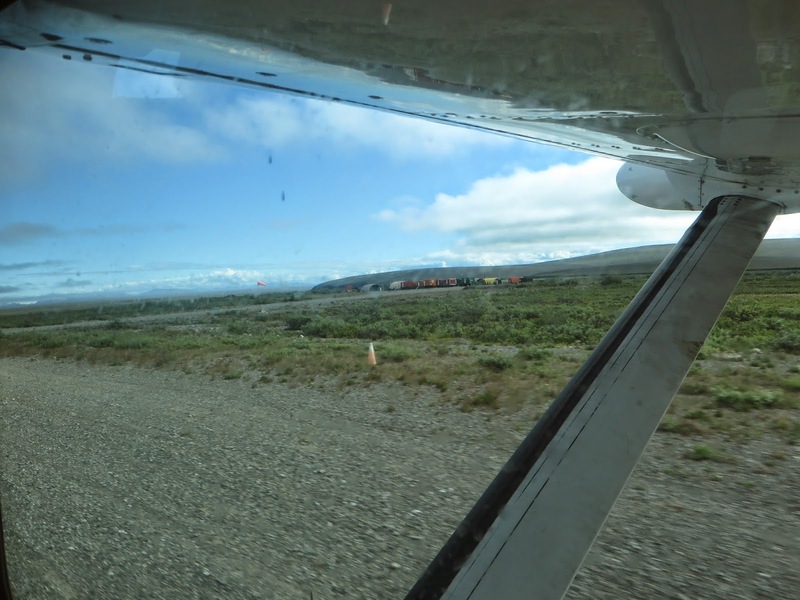 Our last view of Kavik as the plane rolled down the runway. Author's Note: This adventure would not have been remotely possible, nor a great success, without the assistance and support of several key people. I would like to send out a personal thank you to those involved. First my Mother and Father who have shared their hunting lives with me and this adventure. Sue Aikens of Kavik River Camp, you are the "real deal," and one of the very few genuine people I have met. Additionally thank you for the tasty meals, hospitality, and stories. Rob Apgood, fellow adventurer and new friend. Jennipher, although we have never met, I appreciate all you have done for me and my family.